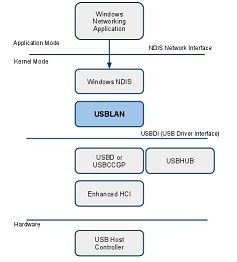 Belcarra’s evaluation version of USBLAN for Windows is not available directly from Windows Update for a Windows 8 user at this time, but it can simply be installed locally. First you will need a copy of the Microsoft-signed Belcarra Demo driver. A downloadable Power Point Presentation is available here. Please note that this is an evaluation version that will run for only one hour at a time. It must be re-plugged to continue use after the one hour expires.